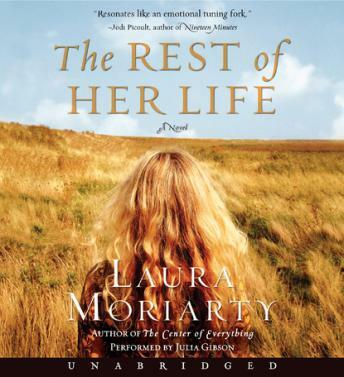 In The Rest of Her Life, Laura Moriarty delivers a luminous, compassionate, and provocative look at how mothers and daughters with the best intentions can be blind to the harm they do to one another. Leigh is the mother of high-achieving, popular high school senior Kara. Their relationship is already strained for reasons Leigh does not fully understand when, in a moment of carelessness, Kara makes a mistake that ends in tragedy—the effects of which not only divide Leigh's family, but polarize the entire community. We see the story from Leigh's perspective, as she grapples with the hard reality of what her daughter has done and the devastating consequences her actions have on the family of another teenage girl in town, all while struggling to protect Kara in the face of rising public outcry.